She shared more details about her lovely mansion! 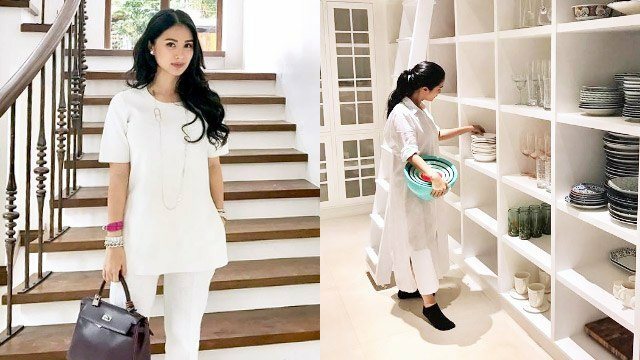 Last December 2016, actress Heart Evangelista gave her Instagram followers a preview of her all-white mansion. The 32-year-old Kapuso star is presently busy moving into her new home, which is undergoing finishing touches. At the exhibit of Philux Furniture in SM Mega Fashion Hall held on February 23, Heart told PEP.ph and VIVA Channel that her house will not be as colorful as her paintings. "I want it very simple, neutral colors to keep me calm. And then, ilalabas ko na lang yung nasa utak ko sa painting ko, while I paint." 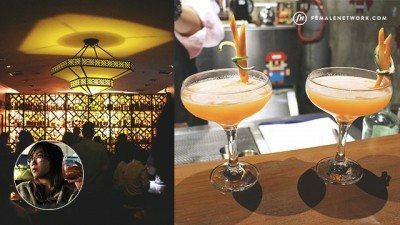 To design some portions of her house, the Kapuso actress tapped Heim Interiors, the same team who worked on the homes of Anne Curtis, Angelica Panganiban, and Lovi Poe, among many other celebrities. "I gave them the looks that I wanted, the color palettes, and I have pegs. They're very, very good," Heart said. Heart picked a "French Contemporary" feel for her new home. "It's all-white, I love white. Some areas are black and white," Heart told PEP.ph. "Some areas are grays and tans. Some areas very colorful like my walk-in closet, ganyan." Her furniture choices included this black-and-white outdoor high-back chair, which was a part of Ito Kish's Julia collection. Heart went more playful on the design of her walk-in closet. One thing that stood out was the golden tree branch hand-railing of the staircase leading to her closet. The stairs had golden holders and was covered by a red carpet. Some of her favorite fashion finds are already stored and organized inside her closet. For her dining area, Heart installed an all-white dinnerware cabinet where she displayed her favorite chinaware and teacup sets. The actress got beige-colored pillow cases from Hermes at around $820 or over PHP 41,500. This golden shoe-and-tree branch sculpture by Michael Cacnio was bought by the Kapuso actress from the recently concluded Art Fair Philippines 2017. Heart did the overall design, including the room of her stepkids Joaquin and Chesi. She told PEP, "With every thing, I was hands-on. Also with the kids' room, I was very hands-on. "Like kung saan nila itatambak yung mga toys nila to keep it organized, so I was very hands-on." She sought the help of her husband, Senator Chiz Escudero, for the technical aspect. "When it comes to mga electrical na, yung mga ganyan, kung saan mahuhulog yung tubig kapag umulan, si Chiz yun," Heart noted. "I really needed his help for my house and yun, tinulungan niya ako sa mga ganung problema." When it's finished, is she going to have her house featured in YES! magazine or on television? "It's very different. A lot of people asked me if I want to feature my house, the problem is, I'm not alone anymore. "Hindi na siya yung parang, you know, I'm single. "I'm married, and I have kids so there's a lot to consider about their privacy, their safety. "So I don’t want to just put that out." The actress continued, "Ang laki ng difference when you're planning a house and having children there. "But when it comes to design though, the kids are very disciplined, they're very disciplined. "Hindi naman kailangan yung super childproof or anything." Some of her paintings will also be displayed on the walls. Currently, she's working on a new art collection titled I'm In Full Bloom, which will be released in 2018. Aside from her own paintings, Heart also reserved a space for her husband′s own artworks.